Ruby Fortune is well established having been with us since 2003, fully licensed in Malta and eCogra-certified. The casino wasted little time in making its impact on the online casino industry, picking up a coveted Best New Casino of the Year award almost immediately. With the might of Palace Group behind it it’s no surprise that the casino had the backing to push itself to the forefront of the casino sector, but has it been able to maintain that level of quality or has it dropped off the radar? Ruby Fortune Casino gives new players the chance to pocket up to $750 in their three-part welcome bonus. First up, players making an initial deposit can enjoy a 100% matched bonus worth up to $150. The second deposit receives 50% extra up to $200, and the third bonus gets 25% on top up to a maximum of $400. In total, new players will have to make deposits worth a combined $2,150 in order to unlock the full $750 in free bonuses. Players will, of course, have to meet the wagering requirements so make sure you have a thorough read through the website’s terms and conditions before putting pen to paper. Australian players will get access to a range of ongoing promos and bonuses to create some extra value in their daily gaming at Ruby Fortune Casino. The casino has a reputation for rewarding loyal customer with an array of special offers, from free spins to deposit bonuses and even an extra $1,000 to any player who bags a progressive jackpot slot win of $25,000 or more. In addition to new promotions each month, Ruby Fortune Casino also offers an excellent loyalty scheme. New players will have the chance to kick-start their loyalty account with 500 free points, with each batch of 1,000 points redeemable against $10 in casino credits. The more you play, the more you’ll move up the ranks, earning special gifts, increased bonuses and getting the opportunity to play exclusive tournaments and attend VIP events. Games here are provided by one of the best in the business; Microgaming. 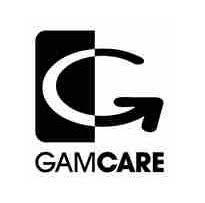 The software giant is known for its industry-leading catalogue of games and more than 450 of them are available here. Interestingly, a large proportion of the games can be accessed via the instant play Flash client, which is perfect for players who don’t like to download and prefer to have quick and easy access to their casino whenever it pleases them, although for players who prefer downloadable software that is also possible here. Most players will already be familiar with Microgaming’s accomplished library of games, and all of the big hitters can be found here. One such gem is Mega Moolah, one of the defining progressive jackpot slots that is responsible for making more millionaires than any other progressive jackpot slot to date. But there’s lots more to enjoy outside of the arguably gimmick-heavy progressives; an excellent array of live dealers and table games, hundreds of regular slots and a smattering of ad-hoc games for variety means there’s plenty to sink your teeth into. Another thing we really enjoyed about the games here is the ease with which you can enjoy a free sample. Any player who has registered with Ruby Fortune Casino can quickly tap on any game to get a taste of what it’s like in a free trial mode before deciding whether or not to stump up their hard-earned cash. Ruby Fortune has taken the time to create a fully functioning mobile app for dedicated casino players, but there’s also the option to play via the traditional URL if you’re in a hurry. However, players who do opt for the full download will be pleasantly surprised at the app’s easy-to-navigate setup and smooth graphics. The many Microgaming games which have been ported to the mobile version of the casino lose little in the way of aesthetics and users of iPhone, Android, BlackBerry and more can gain access to the Ruby Fortune app for free. Customers can get in touch using phone, mail and a live chat feature. We used the live chat feature twice and both members of staff were helpful and responsive. It’s worth noting that you can chat to the live chat help even if you’re located in a restricted territory, which means that players shouldn’t assume they’re allowed to play just because they can access the website. With such an extensive list of excluded countries (including both the US and UK) the focus here is on Australian dollars, and there are many ways to deposit and withdraw them. Credit and debit cards, e-wallet options such as UKash and PaySafeCard, and bank transfers are all accepted at Ruby Fortune Casino, plus anybody with pre-paid vouchers can top up in a matter of minutes. When it comes to withdrawing options are more limited; whilst you may be able to deposit with UKash or PaySafeCard you can’t actually withdraw with them, so you’ll need a plan-b in place for when you scoop that big jackpot. Ruby Fortune is not without its critics, with some players unimpressed with the larger Palace Group and its previous practices at some of its other casinos, but from our experience we see no reason that Ruby Fortune shouldn’t be held in the high esteem it first captured in its inaugural year. The powerful selection of Microgaming games and strong mobile offering are some of the site’s most appealing features, and the only thing we’d really like to see changed is to have the site rolled out to a wider worldwide audience. For a list of the principle casino games available at Ruby Fortune Casino check out the Ruby Fortune Casino games list. A series of articles aimed at helping both inexperienced and experienced online casino players considering playing at Ruby Fortune Casino and aimed at supplementing the information in these casino reviews.